A set of simulations from different configurations of the NEMOMED8, NEMOMED12 and NEMOMED36 ocean regional circulation models for the Mediterranean Sea has been studied in order to assess the accuracy of their representation of the exchange through the Strait of Gibraltar. The model volume transport and thermohaline properties of the Mediterranean outflow have been compared with observational data collected at Espartel sill, the westernmost sill of the strait, by a permanent station moored since October 2004 in the frame of the INGRES projects. Results show that, in terms of volume transport, NEMOMED8 simulations perform a better representation of the exchange, while NEMOMED12/36 underestimate both the mean inflow and outflow. The reason for this underestimation is a too low velocity of the flow, which could be consequence of an enhanced roughness effect due the flow-bathymetry interaction. 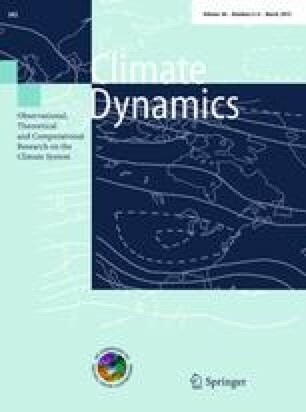 An important improvement in the representation of the exchange seasonality is achieved by the simulations including sea surface height variability of the Atlantic area of the domain. The results for the themohaline characteristics of the Mediterranean outflow are better for NEMOMED12 and NEMOMED36, as a consequence of their better representation of the local dynamical processes that leads to a more realistic composition of the Mediterranean waters comprising the flow. This work has been carried out in the frame of the P07-RNM-02938 Junta de Andalucía (JA) Spanish-funded project. Partial support from CTM2010-21229/MAR (INGRES 3) is also acknowledged. The main part of the work was developed during a research stay at Météo-France/CNRS, CNRM-GAME group, in Toulouse (France), funded by JA. Coments from two anonymous reviewers were of great help to improve the former manuscript.